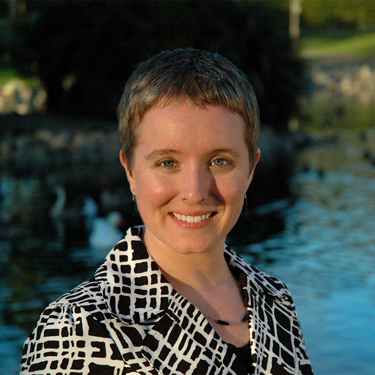 Jenni Brandon: Bio & Choral Music | Santa Barbara Music Publishing, Inc.
Jenni Brandon (b. 1977) is an award-winning composer whose music has been commissioned by many ensembles and performed in venues across the world, including Zankel Hall in Carnegie Hall. Among the ensembles performing her works are the Yale Glee Club, The Singers, the Young New Yorkers Chorus, Vox Femina and Voices of Ascension. Jenni makes guest composer appearances at universities and festivals across the country, frequently giving talks on the business of music and musician collaboration. She also actively promotes new music and regularly plans and produces concerts in the Los Angeles area. As a conductor she has lead both church and community choirs and makes guest appearances to conduct her works. She is currently the music director of The Concert Singers, the oldest independent choir in Los Angeles. Jenni is active as a mezzo-soprano, making choral appearances with the Boston Pops, Pacific Chorale, Los Angeles Philharmonic, and at the Hollywood Bowl. Her first CD Songs of California: Music for Winds and Piano was nominated for the 10th Independent Music Awards. Her music can be found on recordings by the Yale Glee Club, Sistrum, the Musical Arts Woodwind Quintet, and oboists Laura Medisky and Rebecca Henderson. Visit www.jennibrandon.com for more information. Jenni Brandon has 2 titles published with Santa Barbara.